This Code has been adopted to promote and maintain the highest standard of personal and professional conduct in the investment management consulting profession. 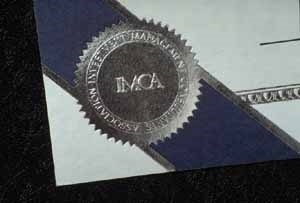 All members of Investments and Wealth Institute (Formally IMCA) are expected to subscribe to the Code, which serves to assure public confidence in the integrity and service offered by professional investment management consultants. Adherence to the Code is required of all IMCA Certified Investment Management Analysts. Serve the financial interests of clients. Each professional shall always place the financial interests of the client first. All recommendations to clients and decisions on behalf of clients shall be solely in the interest of providing the highest value and benefit to the client. Disclose fully to clients services provided and compensation received. All financial relationships, direct or indirect, between consultant and investment managers, plan officials, beneficiaries, sponsors or any other potential conflicts of interest shall be fully disclosed on a timely basis. Provide to clients all information related to the investment decision making process as well as other information they may need to make informed decisions based on realistic expectations. All client inquiries shall be answered promptly, completely, and truthfully. Maintain the confidentiality of all information entrusted by the client to the fullest extent permitted by law. Comply fully with all statutory and regulatory requirements affecting the delivery of consulting services to clients. Endeavor to establish and maintain excellence personally and among colleagues in all aspects of investment management consulting and all aspects of financial services to clients. Support and participate in the activities of the Investment Management Consultants Association to enhance the investment management consulting profession. Copyright © 2004 Investment Management Consultants Association. All Rights Reserved.